According to a study published in the Annals of Emergency Medicine, battery failure accounts for 25% of all AED failures. Batteries can last anywhere from 2-5 years depending on the make and model of your AED. These batteries need to be visually checked on a monthly basis to ensure readiness, and replaced immediately when dead, beeping, or past the manufacturer’s expiration date. The batteries can range in price from as low as $75 to as high as $395. 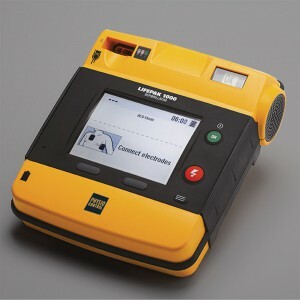 It is important to consider the cost of replacing the battery over the life of your AED, and factor this into your organization’s initial decision on which AED to purchase. Typically a device will contain two sets of Electrodes or Pads, as they are often referred to, an installed set and spare set. Electrodes usually have different expiration dates from the AED’s battery, so it is important to check both the electrodes and battery each month by perform a visual inspection. However, there are some devices marry the battery and electrodes expirations dates, so they can be replaced simultaneously for easy maintenance. Electrodes expiration dates can range anywhere between 2-5 years, and need to be replaced when they age past the expiration date. The prices of the replacement electrodes vary depending on the AED, because some electrodes have more features than others. Especially those AEDs that provide CPR Feedback via the electrode pad. Electrodes can range in price from as low as $40 to as high as $169, and don’t forget to double that price if you have a spare set of electrodes. Chesapeake AED Services always recommends having two sets of electrodes on hand, one installed and one spare. Sudden Cardiac Arrest can occur to anyone at any time, from young to old. Manufacturers recommend using pediatric electrodes for children under the age of 8 or under 55 lbs. Organizations who are reasonably anticipated to working with, serving, or be in the presence of children are highly recommended to have both adult and pediatric electrodes. Pediatric Electrodes or Infant/Child Pads provide a lower energy shock to the patient and are smaller in size to better fit children. Pediatric Electrodes are an accessory and need to be purchased in addition, they do not come standard on any AED. Pediatric Electrodes typically have the same life span of the adult electrodes of anywhere from 2-5 years, and range in price from $99 to $200. Examples of facilities/organizations with pediatric electrodes: Schools, Daycare/Head Start Programs, Public Pools, Rec Councils, Youth Sports Leagues, etc. 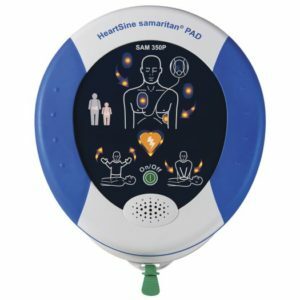 Each state publishes AED Program Guidelines/Laws to provide a framework for initiating a design process for a Public Access Defibrillation (PAD) program. These laws are changed and updated frequently, so working with a trusted company to help manage your AED program can save a lot of time, stress, and money removing those responsibilities from your AED Coordinator’s plate. Program Management is a service/maintenance agreement for an outside company to manage some or all of the components of your AED Program. This level of service can vary, so make sure you check with that company to compare these plans apples-to-apples. In some program management plans, replacement supplies or refresher CPR/AED training is included, so make sure that is a consideration when choosing the best plan to fit your organization’s needs. The cost of a program management service can range from around $50/year to as much as $500/year. These services can be offered on a yearly basis, or in long term service contracts that typically provide built in yearly cost savings over a shorter plan. Depending on your state, you may be required to have employees/individuals onsite with current CPR/AED Certifications from the American Heart Association (AHA), American Red Cross (ARC), American Safety & Health Institute (ASHI), or equivalent organization. A typical certification last for 2 years, and can range anywhere from $50-$100 depending on the market. It is important to keep these certifications current and take ongoing renewal courses every two years to stay in compliance with your state’s AED Program Laws. There are a few different types of courses and ways to complete the training, so make sure you check with your training organization to get the correct certification course to meet your organization’s needs. 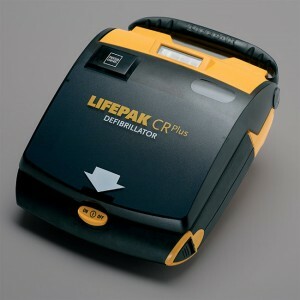 We offer an array of accessories for our defibrillators. Please check out our web store or ask your associate to help you or recommend optional accessories. Most AEDs are easy to use and maintain. They do a self-check every week and has an easy to read indicator screen. If there is an issue the unit will show a maintenance symbol. We advise our clients to check the indicator screen on a monthly basis and take note of when you will need to replace any parts. 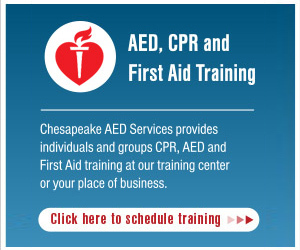 Chesapeake AED Services also offers a leasing option! Leasing equipment is easy, simple and a great alternative for those on a budget. You may lease equipment only and must meet the $5,000 minimum if you are interested in this financing option. If you have any further questions, please contact your account representative directly for assistance. There are many considerations when purchasing an AED. The specialists at Chesapeake AED are available to help you find the right fit for your organization’s needs. Fill out the form and we’ll get in touch with you within 24 hours. It is important to find the best fit for your needs, so work with one of our AED specialists.